Young Jeezy is an American rapper. In 1998, he launched the label imprint CTE World (then known as Corporate Thugz Entertainment). Aside from his solo career, Jeezy is the de facto leader of the southern hip hop group United Streets Dopeboyz of America (U.S.D.A), and is a former member of the Bad Boy Records’ rap group Boyz n da Hood. Jeezy is also known for helping pioneer the hip hop subgenre trap music, alongside fellow Atlanta-based rappers T.I. and Gucci Mane. Young Jeezy’s debut single off his debut album, “And Then What” featuring Mannie Fresh, reached #67 on the Billboard Hot 100. Young Jeezy’s major label debut, Let’s Get It: Thug Motivation 101, was released on July 26, 2005. It debuted at #2 on the Billboard 200, selling 172,000 copies in its first week and was later certified Platinum by the RIAA. The second single off the album, “Soul Survivor” featuring Akon reached #4 on the Billboard Hot 100 and would end up becoming Young Jeezy’s highest-charting single of his career. The third single, “My Hood”, reached #77 on the Billboard Hot 100. In an interview with HitQuarters, A&R Shakir Stewart said that Jeezy had recorded over 60 songs for the album. Jeezy’s second major label album was The Inspiration, released in on December 12, 2006. It had topped the Billboard 200 with first-week sales of 352,000 copies and would also be certified Platinum by the RIAA. The album’s first single “I Luv It” peaked at #14 on the Billboard Hot 100. The second single, “Go Getta” featuring R. Kelly peaked at #18 on the Billboard Hot 100. Young Jeezy’s third album, The Recession, was released on September 2, 2008, and would earn him his second consecutive number one album. It topped the Billboard 200 with first-week sales of 260,000 copies and was certified Gold by the RIAA. “Put On” featuring Kanye West was the lead single and had reached #12 on the Billboard Hot 100. It also led to a Grammy Nomination for Best Rap performance by a duo but came short. “Put On” was followed by “Vacation”, “Crazy World”, “My President” featuring Nas, and “Who Dat” to complete The Recession’s singles. 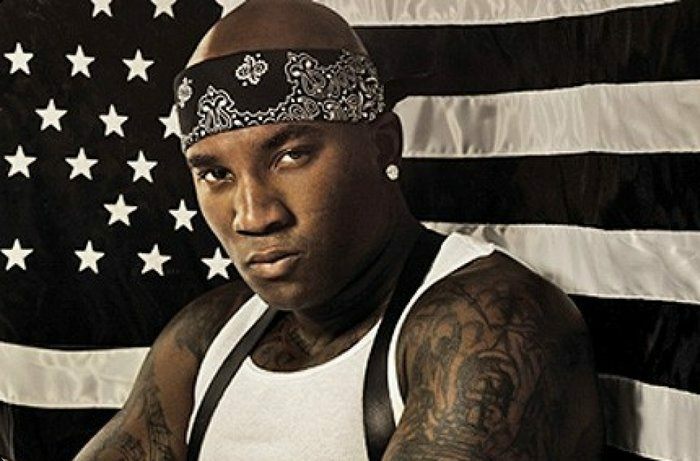 Young Jeezy appeared on “Love in This Club” by Usher and “I’m So Paid” by Akon (also with Lil Wayne). “Love in This Club” peaked at #1 on the Billboard Hot 100. Later, he performed on Ciara’s single “Never Ever”, from her album Fantasy Ride. On December 20, 2011, the Thug Motivation 103 was finally released, and had debuted at #3 on the Billboard 200 with first-week sales of 233,000 copies and was certified Gold by the RIAA. “I Do” featuring André 3000 and Jay-Z was the fourth single and reached #61 on the Billboard Hot 100. “Leave You Alone” featuring Ne-Yo was released as the fifth single and reached #51 on the Billboard Hot 100. In 2012, Young Jeezy’s “I Do” received a Grammy nomination for Best Rap Performance. On October 28, 2016, Jeezy released his new album Trap or Die 3, which became available for pre-order on iTunes earlier that month. It debuted at number one on the Billboard 200, becoming Jeezy’s third album to top the chart.